When I started my photographic journey in the last century, I wasn’t even aware that Nikon had a 1200mm lens in their offerings. I also didn’t know that there were 2 different lens designs available with 1200mm. Over time, the lenses became more visible to me, but due to their very high price tags they were for all practical purposes unreachable. Fast forward to this millenium. A couple of years ago, 2 different 1200mm/11 lenses were offered on the internet. Out of curiosity, I started to engage with the two different sellers. Just to be on the safe side. The side was so “safe” and the offers so compelling, that I ended up now with both of these lenses. A bit unsure upfront, if 1200mm lenses can be used at all, in hindsight I never looked back. They are even by today’s standards marvelous lenses. Both. 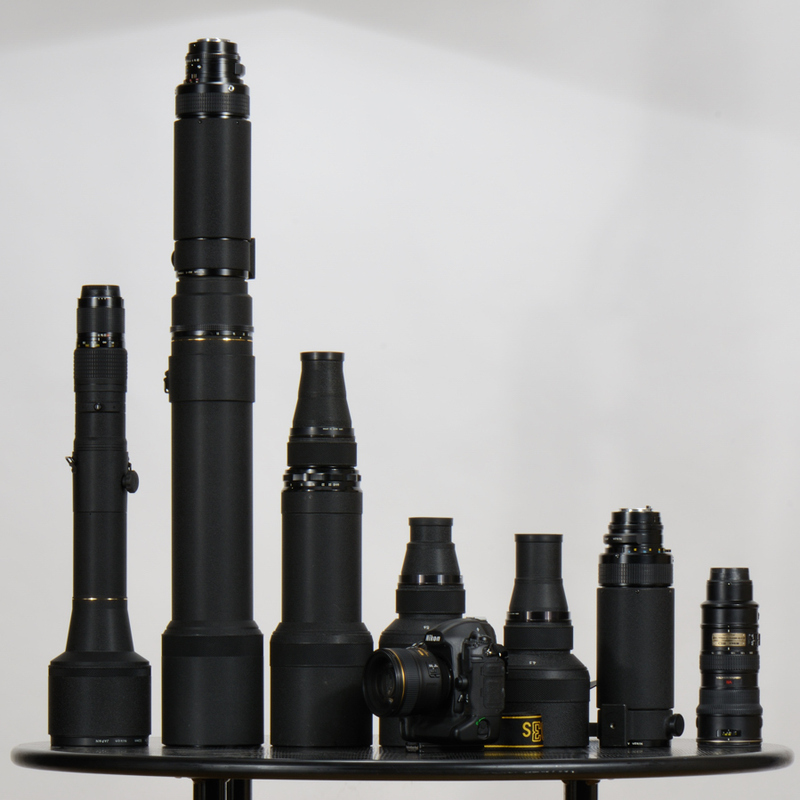 Nikon introduced 1964 a modular telephoto set, consisting of the CU-1 focusing unit, a 400mm/4.5, 600mm/5.6, 800mm/8 and 1200mm/11 head to be screwed into the focusing unit. 10 years later, 1974 Nikon introduced a new focussing unit AU-1 (for Ai capable cameras) and all lens heads got a multicoating, improving image quality. Again, one year later (1975) the longer 3 models (600mm, 800mm,1200mm) were available with ED coating, significanty improving image quality again. 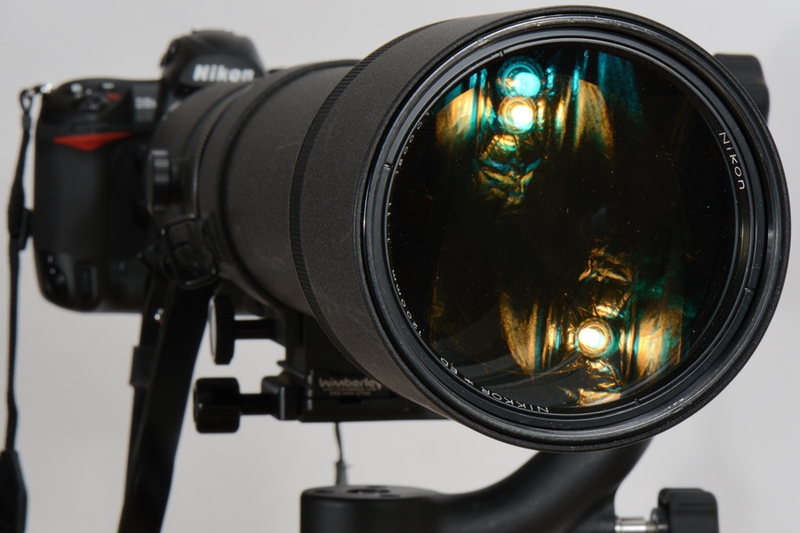 Again 4 years later, Nikon introduced the IF version of the 1200mm/11 lens. First as AI, then as AiS. This lens was considerable smaller than the previous version. All lenses had the same 122mm filter size. The ED versions of the first generation are still excellent lenses, sometimes better than the IF version. On some bodies they showed CA, which can be addressed with CNX2 relatively simply. The IF version is more handsome, lighter (relatively speaking) and overall the one I’d recommend if you look for one. 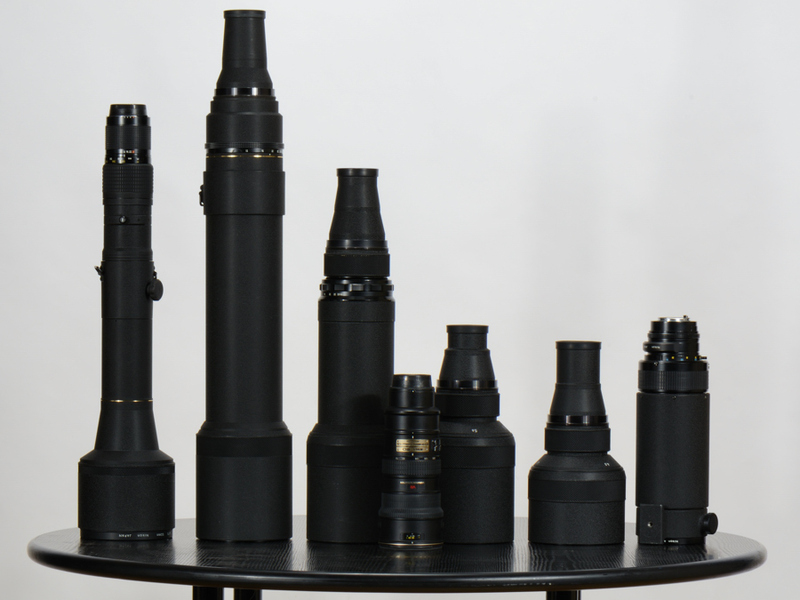 From left to right: AiS 1200mm/11 IF-ED, 1200mm/11 ED, 800mm/8, 600mm/5.6, 400mm/4.5, AU-1 focus unit and for size comparison the AFS 70-200mm/2.8 VR1. Similar setup, only difference: An AU-1 is mounted on the 1200mm telehead, to show the overall length vs. the others. Did I say they are long? They are …. These are the 2 different 1200mm models. 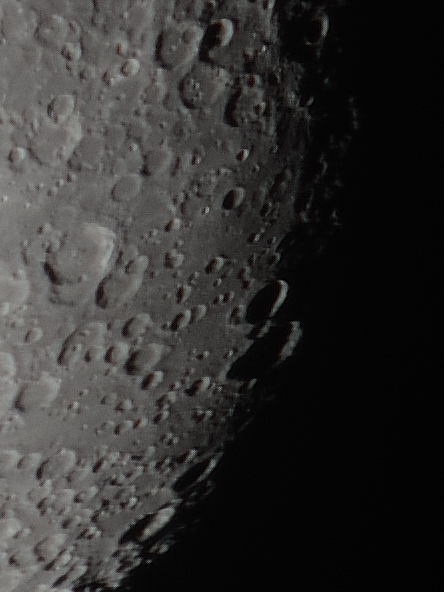 Top is the IF-ED, bottom is the 1200mm/11 ED version. From a handling perspective, a photographer need to apply a bit more carefulness. Sometimes with slower shutter speeds, it pays off to mount under the camerabody a second tripod (only 2 legs extended) to improve significantly the image quality. Anyway, it is fun to play around with these. Seen from the right perspective the 3ft long older version doesn’t look that big. Just one example of what these lenses can deliver even today on modern bodies. 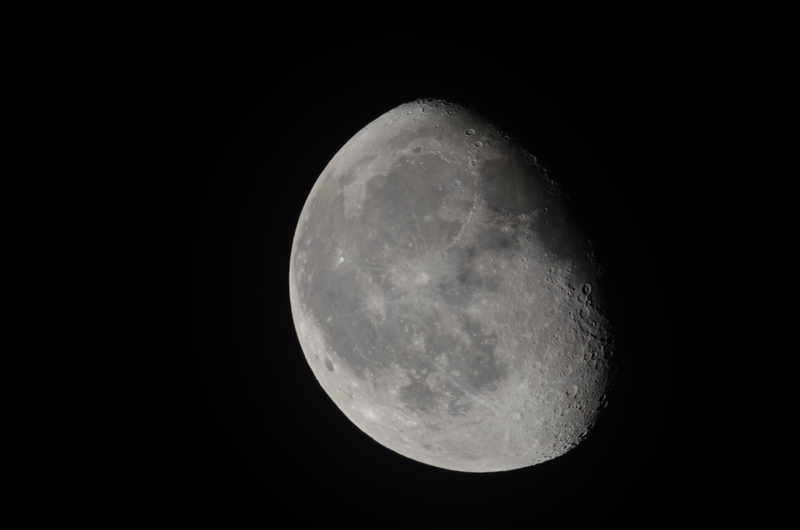 The moon shot was taken with the AiS 1200mm/11 IF-ED on the D7000. The first photo is the full frame as captured by the sensor of the D7000. The D7000 lacks weight, which requires the dampen the whole combo with a blanket to avoid shutter vibration. 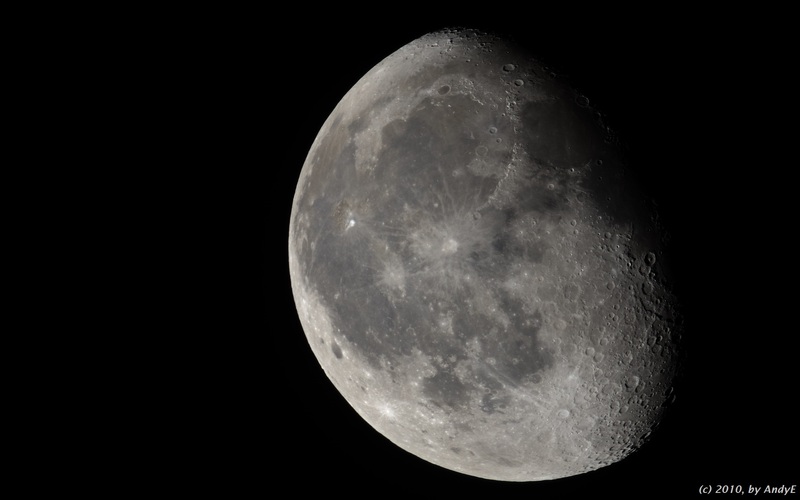 Taken from the full sized image above, a 100% crop from the D7000 photo. The 1200/11 ED lens head with AU-1 is one of my favorites with Nikon digital bodies and Bronica EC-TL, for which it covers the 6 x 6 format. Quite sharp even on DX bodies. I mount it on a 50-lb rated fluid head on a 100-kilo rated Sachtler tripod with good results as speeds as low as 1/15 second, countering Nikon mirror slap with a 15-pound sandbag on the lens. The Bronica SLR is enough heavier that I don’t need the sandbag.